Teething is a difficult time for everyone in the family and usually occurs around 4-7 months of age. Nobody likes to see their child distressed, and the frequent crying, problems sleeping and general fussiness can lead to parents feeling helpless and at the end of their tether. Unfortunately there is no quick fix and it tends to be a trial and error process to discover what soothes your child. Just remember what your child is going through is a normal process and will run its course. Focus on distracting your baby with lots of love and extra attention. Your baby may get some relief from the pain with light pressure with something cold like a washcloth or chilled teething ring or spoon. Children who are eating solids can chew on hardened rusks, peeled cucumbers or frozen carrots (large enough not to be swallowed) to soothe their teething pain. Today there are so many resources available online and in books for parents struggling with teething and it is important to note that not all are advisable and some can do more harm that good! Some items like Amber necklaces and bracelets can pose a strangulation risk and other methods sometimes advocated can cause early decay if sugar, honey or jam is added to the tip of a baby’s dummy/pacifier or bottle. Symptoms such as diarrhoea, rashes and fever are not associated with teething and a health professional should be consulted. 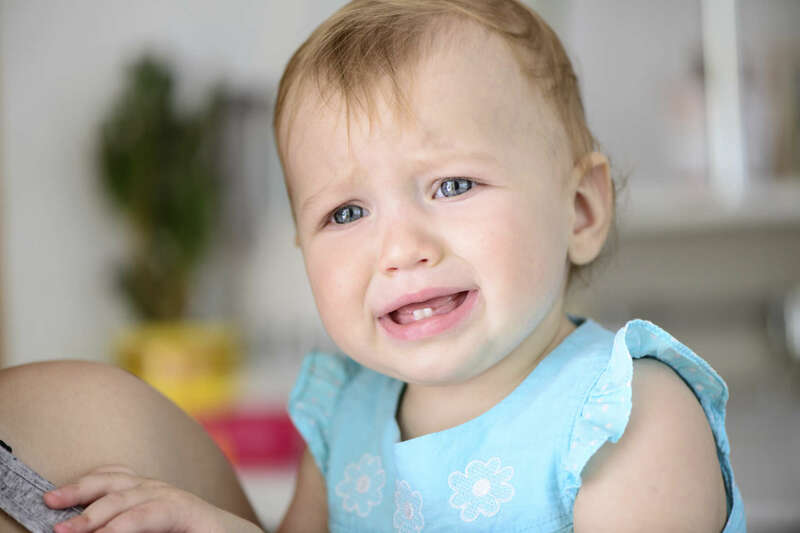 If the measures above are not successful in soothing your teething tot, ask your Medland Dentist or pharmacist for advice before using any pain medication or oral gels that contain a local anaesthetic to ensure that it is suitable for your child. For more information see the Australian Dental Association's Facesheet on "Terrible Teething". Would you like to have a heads up on when to expect teething? 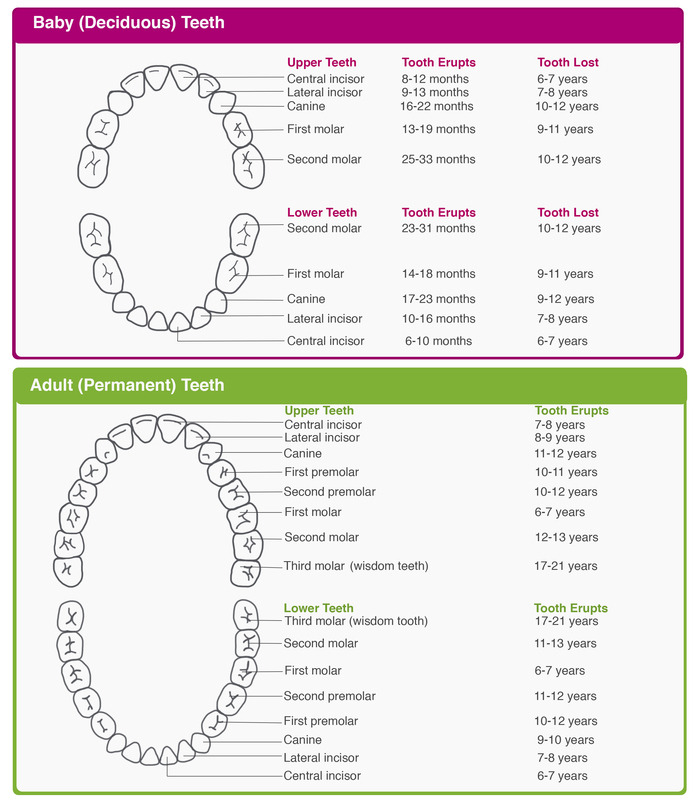 See our Teething Chart below which can also be downloaded and printed.